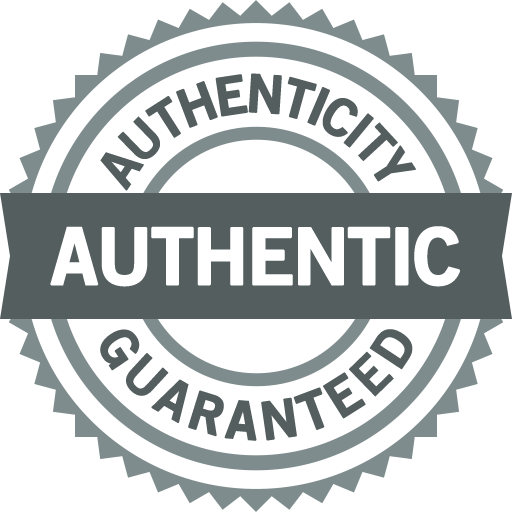 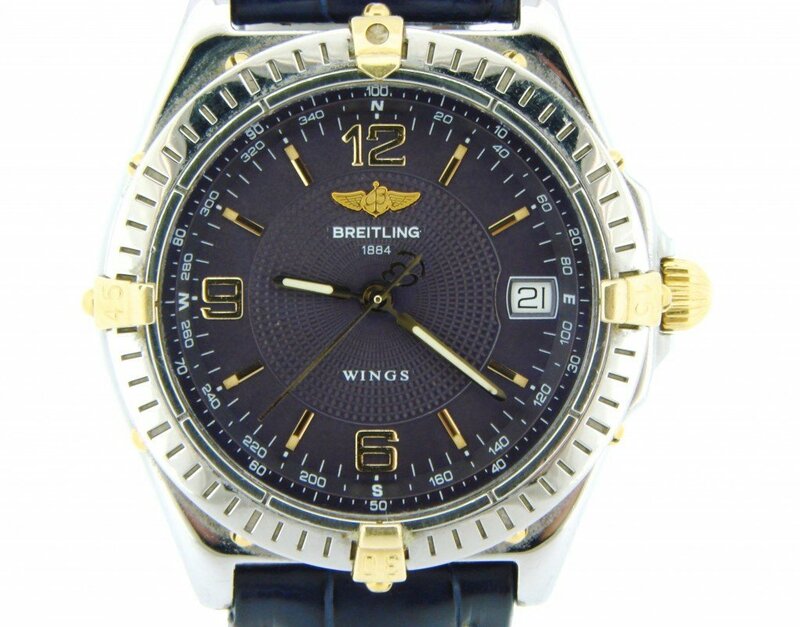 BeckerTime is proud to offer this amazing 100% GENUINE FACTORY BREITLING timepiece. 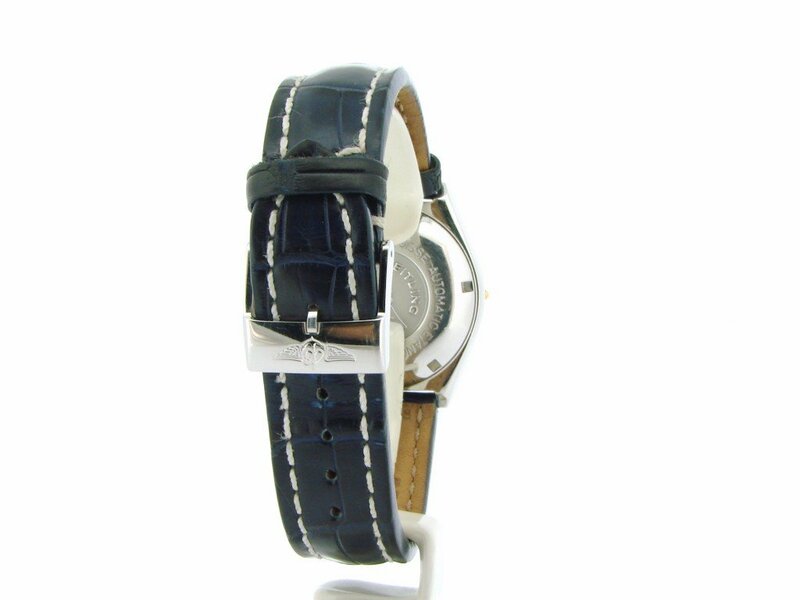 It is a Mens Breitling Wings 2tone Leather Automatic w/Blue Arabic Dial B10050 that is guaranteed to impress. 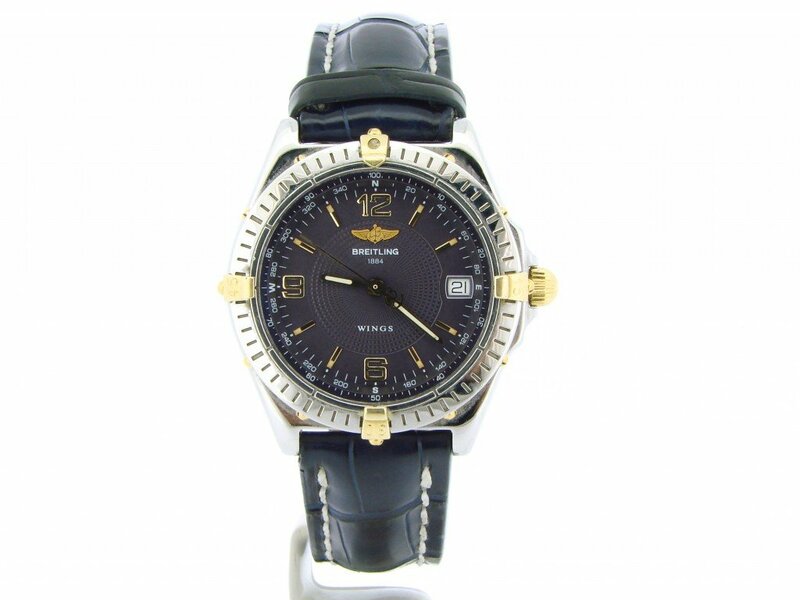 Movement Original Breitling swiss automatic movement is in running strong and keeping excellent condition. 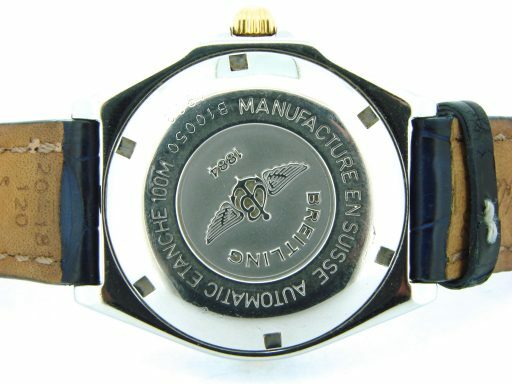 Dial Color Original Breitling blue “quarter” dial with raised yellow gold arabic and stick markers is in pristine condition. 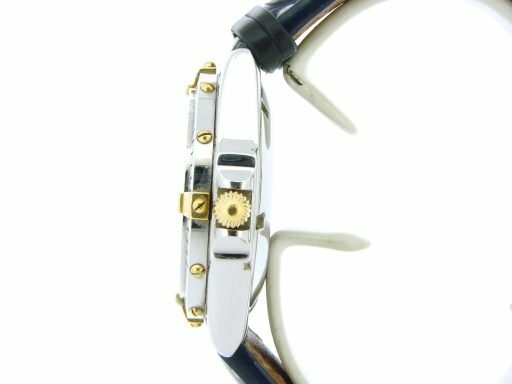 There is a compass on the outer part of the dial. 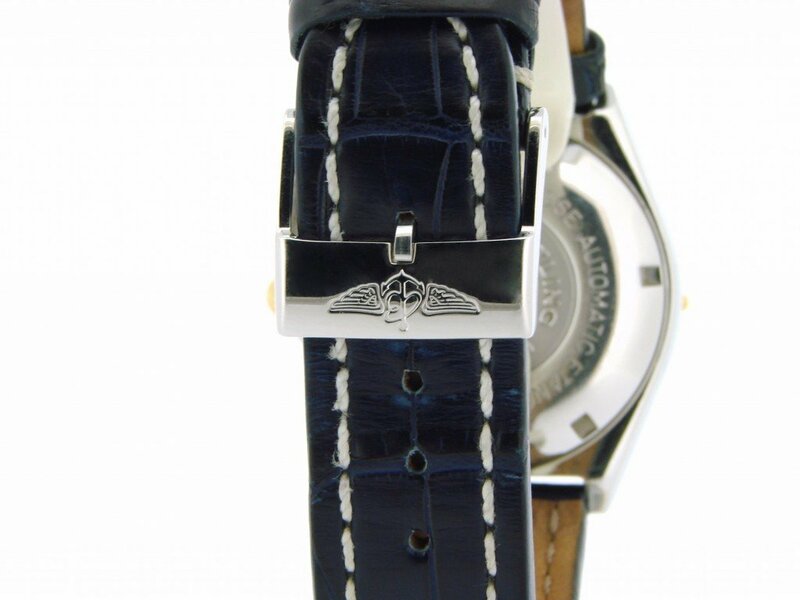 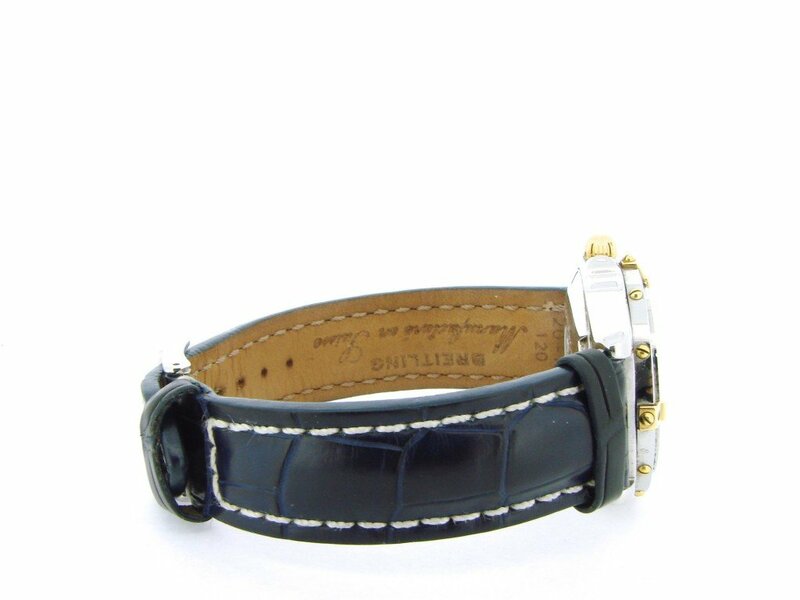 Band Original Breitling genuine navy blue leather band with white stictching and stainless steel Breitling-signed clasp is in excellent condition.